I was an editorial intern at Complex.com from January 2014- May 2014. After my internship ended, I began contributing to the site remotely on a freelance basis. This was the first article I wrote after this transition. The purpose of the article was to familiarize readers with the artist Ai Weiwei in anticipation of an exhibition that took place in New York. I have included only the introduction and the first five pieces that I cover, however if you wish to read the entire article I have included a link above. Ai Weiwei has dedicated himself to preserving human rights and freedom. He uses the Internet to spread information that the government has tried to hide and makes political statements with his art. The Chinese government has made many attempts to silence him, including destroying his studio, physically beating him, detaining him for 81 days, putting him under house arrest and constant surveillance, and confiscating his passport. Despite oppression, Ai Weiwei cannot be deterred. 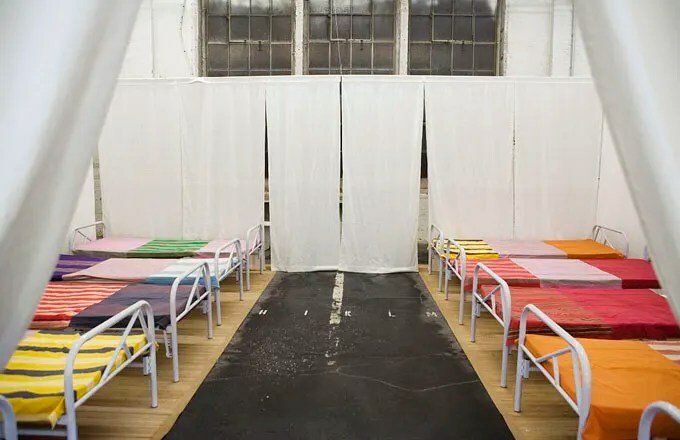 His upcoming exhibition, “@Large: Ai Weiwei at Alcatraz,” will center on issues of human rights, activism, and incarceration with seven site-specific installations, including “Trace,” a giant Lego portrait of 176 political prisoners from around the world. The exhibition will be on view from Sept. 27 – April 26. Before you admire his newest work, do your homework and familiarize yourself with 20 Ai Weiwei Pieces You Should Know. Ai Weiwei left Beijing when he was 24 and spent a decade living in New York’s East Village neighborhood. While living there, he grew as an artist and learned about American culture and art, particularly the work of Marcel Duchamp. 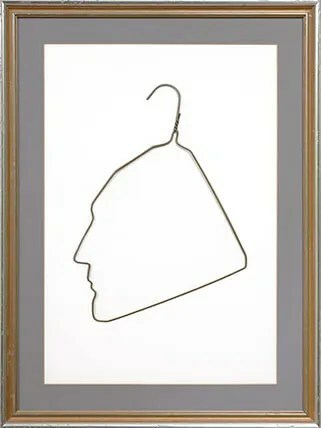 This homage to the inventor of the readymade is a portrait of Duchamp in the form of a bent coathanger. 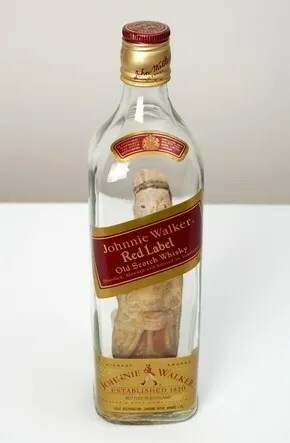 Duchamp’s influence on Weiwei’s work is obvious in this untitled piece, which Ai created by placing a Chinese figurine inside of an empty Johnnie Walker Scotch bottle. Perhaps the readymade amalgamation represents how the artist felt living in New York. He did assemble it during his last year living in America before returning to Beijing, after all. 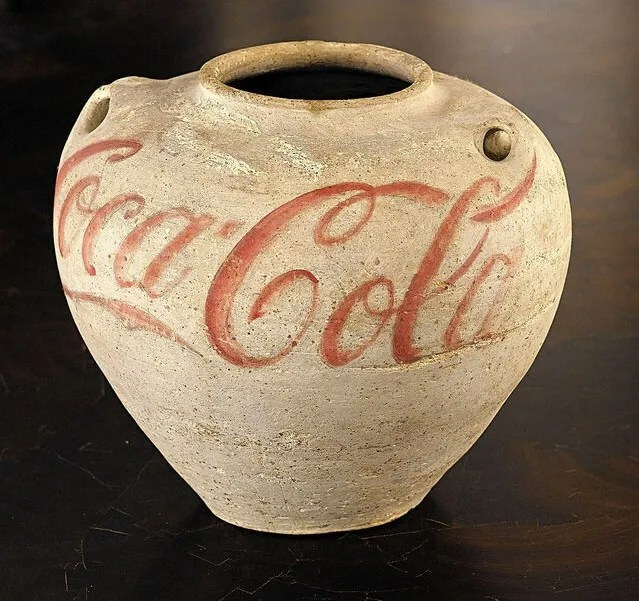 Critics were appalled when Weiwei unveiled this piece, where he transformed an ancient piece of Chinese ceramic pottery into a vessel bearing the popular American symbol of consumerism (by Warhol’s standards, at least). As far as conceptual art goes, the urn is a straightforward representation of the conflict between old and new worlds. Swiss art collector Uli Sligg acquired it and more than a decade later destroyed it in an imitation of Weiwei’s Dropping a Han Dynasty Urn. The year after creating Han Dynasty Urn with Coca-Cola Logo, Weiwei unveiled an even bolder creation…in the form of destruction. He made a photographic triptych of him holding and then dropping an ancient urn. In the final panel, it is in pieces at his feet. He broke the urn to criticize the recent sacrifice of historical sites in order to make way for new developments in China, and perhaps also to criticize our age’s neglect towards historical, cultural craft as a whole. Dropping a Han Dynasty Urn inspired copycats, most notably a man who stormed into a Weiwei exhibition in Miami and broke another urn in protest. Weiwei brought Fairytale with him to Kassel, Germany for the Documenta art show. It was the most expensive exhibition there. Fairytale consisted of 1,001 of Weiwei’s fellow Chinese citizens, who he flew to the art show. The people who participated as part of the exhibition were allowed to wander freely throughout the city for the duration of the show and were encouraged to interact with spectators, locals, and other artworks. Weiwei also displayed 1,001 chairs with the piece.